Would you like to be a sponsor of the Mayor's Book Club? a child's access to books. The Mayor's Book Club engages families with young children in an exciting adventure of reading together. Supported through public and private partnerships, the program reinforces the goal of helping all of our children have a healthy start in life and enter school ready to learn and ready to succeed. Activities promote early literacy, improve the social and emotional development of young children, and increase the likelihood that children grow up in an environment where books are available and literacy is valued. Our children will be “Ready Readers and Ready Learners” when entering kindergarten. Mayors’ Book Club Website: This program helps parents and caregivers find reading tips, ideas about family reading activities, information about local events and fun things to do together, and quick links to high quality parent resources and information. (1) For the Hampton Mayor's Book Club - by check made out to "Healthy Families Partnership, Inc." with "Mayors Book Club" in the "For" line, and mailed to Healthy Families Partnership (Attn: Mayors Book Club), 100 Old Hampton Lane, Hampton, VA 23669. Or call the Marcy Messick at 757-727-2710. (2) For the Newport News Mayor's Book Club - by check made out to "Newport News Public Library System – Mayor’s Book Club" and mailed to Newport News Public Library System, 700 Town Center Drive, Suite 300, Newport News, VA 23606-4700. Sponsorship is based on $4.00 per child. Some organizations have been successful in sponsoring a particular school or asking members or employees to each sponsor a single book. 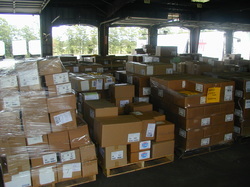 Books are distributed through public and private preschool programs in Hampton and Newport News and in Hampton City School’s kindergarten and first grade classrooms. Sponsorships help children build personal home and classroom libraries. This will enable us to purchase half the books given each school month to the children served. Provide the books and materials for all 6,000 children in nearly 300 pre-school, kindergarten and first grade classrooms as well as for the classroom and school libraries.